This is an alpha build as I add features and parts building up to the complete Block II. Expect issues here and there and things like unfinished textures. *Mk3 Shuttle Pack (aka Shuttle Lifting Body) is required to use this add-on. Removed localisations to avoid a CKAN conflict. Part descriptions will be back in a future CA update. If you're not using CKAN you don't need this update. 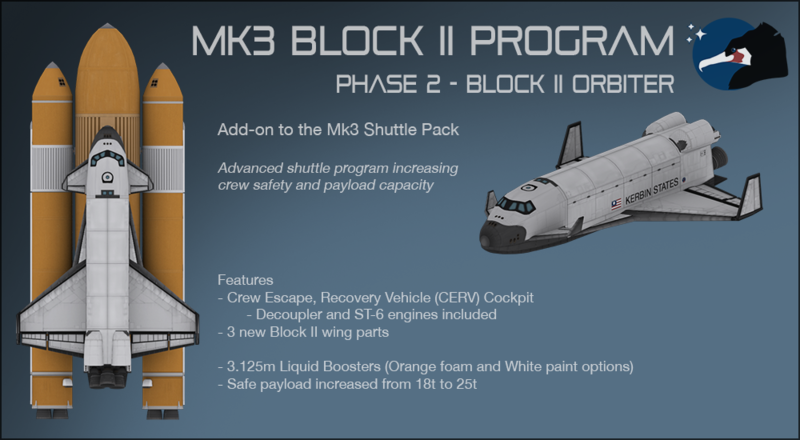 Thanks for downloading CA - Mk3 Block II!